Read the entire article at The Atlantic. So where will they start? Never mind how to reduce their city’s greenhouse-gas emissions; how will they know what’s spewing carbon dioxide in the first place? Maybe Google will do it for them. Or, at least, do it with them. So far, the company has only released estimates for five cities, including Pittsburgh, Buenos Aires, and Mountain View, California. It plans to expand the program gradually to cover municipalities worldwide, but has declined to provide more specific plans. 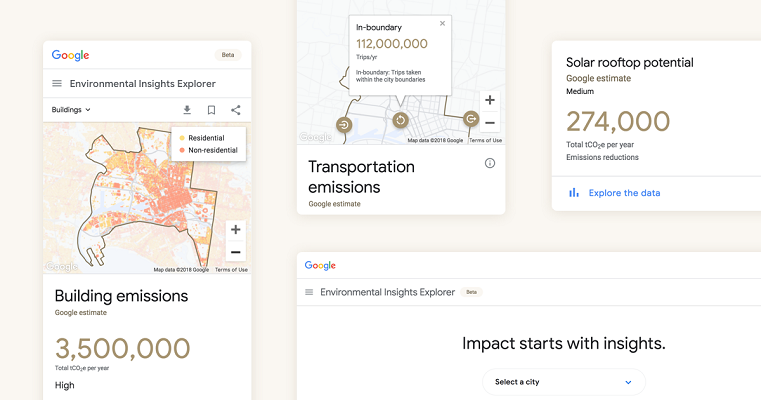 “What we envision is an open search bar for users to search for their own city in the future,” Van Groenou said.